Expedia Accepts Bitcoin for Hotel Bookings! You are at:Home»Bitcoin Values»Expedia Accepts Bitcoin for Hotel Bookings! Expedia Accepts Bitcoin! Another great news for the bitcoin community as the online travel agency Expedia announced that they are now accepting bitcoins as payment for hotel bookings. Expedia accepts bitcoin is not really new news to the traveling agency but having one of the largest travel agency embracing bitcoin is excellent news for the virtual currency. Flight and car bookings are not yet supported, but Michael Gulmann; Expedia’s vice president of global product for Expedia said the site will soon accepts bitcoin for flights and cars as well. CheapAir is the first online travel agency to accept bitcoin as payment. 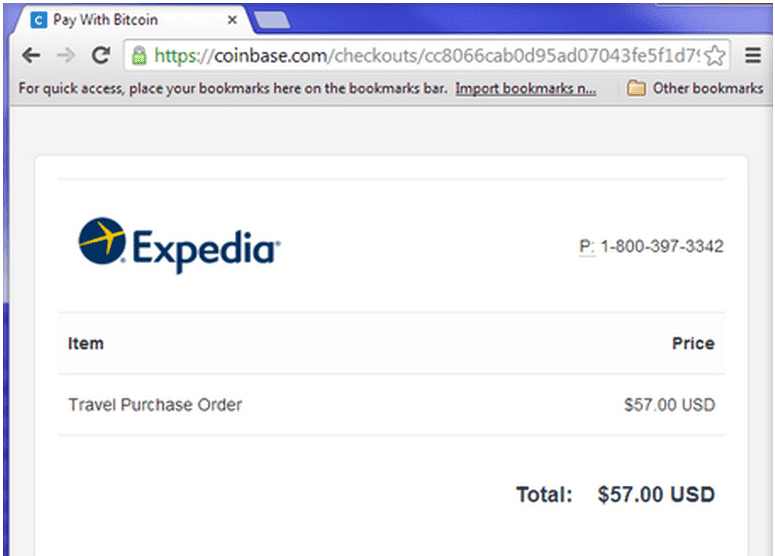 Bitcoin payments for Expedia will be processed using Coinbase! Having a major website like Expedia accepts bitcoin as payment legitimizes and solidifies bitcoin as a true alternative to traditional payment methods. Expedia accepts bitcoin as payment is not only a good choice for the company but the future of bitcoin itself. The value of a single bitcoin reached a record high $1,000 in late 2013 as speculators and market manipulation programs like Willy and Markus drove the market up. However, the cryptocurrency took a big hit after Bitcoin’s largest and most established bitcoin exchange company Mt.Gox reported a huge hacking scheme in which they claimed hackers got away with over $400m worth of customers’ bitcoins then filed for bankruptcy protections in Japan! How can companies like Expedia benefits from the bitcoin wave? Well, for once big businesses need to embrace and integrate the virtual currency now. In doing so, they will not be labeled as late adapters and lack of innovative visions. They need to partner with established bitcoin payment processors like BitPay and Coinbase so they can be ready for what could be a major switch to virtual currencies. Expedia Accepts Bitcoin -What’s in it for Expedia? 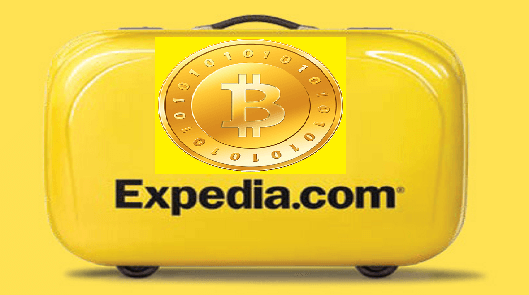 Expedia accepts bitcoin as payment is another victory lap for the bitcoin community. What do you think of this great news folks?